Designer bags are the most sought-after accessory for all the fashion loving women. Although many designer bags are designed every year for the fabulous women around, Pursu bags are the styles to hold on to as they endure the fashion test. Launched by two sisters, Debsena Chakraborty and Sulagna Kapoor, Pursu designs comfortable and functional clutches, handbags and shoulder pieces. These bags are sure to add the ladylike elegance to your overall look as they are unsurpassed. Pursu bags are crafted using the finest materials and keeping in mind the latest trends as well as classiness. These bags are unparalleled in style and quality and are light on your pocket. The brand was initiated in January 2018 with an online store GoPursu and offline store Pursu at Shahpur Jat. With an aim to give luxurious bags at affordable prices the founders of PursuSulgana and Debsena launched these designer bags that are mostly designed and made in Italy, China and India. Silk Handbag collection: This is a stunning and elegant collection fashioned in the mulberry silk and these handbags are a must-have as they are a fit for every occasion. Theseall silk structured tote bags have digital prints in many colors and designs and are well designed to help all the ladies out there make a style statement. Whether you are going out for a date or an afternoon soiree, these silk handbags look great with any type of ensemble. Crafted with leather handles, zip closure, and shoulder guard, these bags are classy and high in quality and finish. The classic collection: This collection is created using many materials like silk, brocade; pure leather etc. and the styles given to the bags are evergreen and classic. The silhouettes of the bags are clutches, totes, handbags, bucket shape or baguette. These premium bags are designed as per global standards of fashion and are available at reasonable prices. 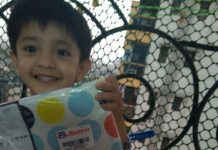 These bags can easily be ordered online and offline. All Leatherette: This collection of bags has been exclusively designed in trendy colors and fascinating styles. The bags are very attractive and crafted in a great finish. These highly comfortable bags are easy to carry and are priced reasonably. Leatherette bags by Pursu are premium with amazing craftsmanship and high in quality. You can grab this collection online and look stunning with this breath-taking collection of bags. Abstract Handbags: These mystical handbags are available in many materials like silk, brocade, and leather and the crisp abstract prints on the bags are an attention seeker. You can enhance the look of your ensemble with these fabulous handbags, clutches or shoulder pieces. The interiors of all the bags by Pursu are well-composed with inner pockets and lining. The contemporary patterns of this bag can help you look like a modern fashionista so awaken the Diva in you while carrying this fabulous bag during a get together with your girls. Floral bags: These amazing floral bags are perfect for a romantic date. Crafted in leather, silk and many other materials, they are casual and flirty bags that are perfect for a date with your companion. These alluring and artistic designer bags are available online and you can order them with great ease from anywhere in the world. GoPursu.com provides an extravagant collection of comfortable bags that are crafted with perfection. These floral bags are infused with a romantic play of fabrics and colors. Bags under 5000: Pursu bags are designer offerings that are permeated with functionality, sophistication, and comfort. This is a range of bags that are light on the pocket but not light in quality. They are the right choice for working women, style enthusiasts, and fashionistas as they are comfortable and easy to grab on the go. Whether you require trendy bags for everyday use or for a formal occasion, we have got you covered. GoPursu is the right place to check out the entire collection of bags by brand Pursu and you can choose from a great collection available online. These exquisite bags are gaining immense popularity worldwide so if you are looking for best handbags online in India then you are at the right place. 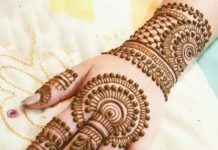 Last minute mehndi designs for Karwa Chauth & why it is celebrated ? I am quite crazy about handbags. I just loved the collection and definitely going to bring some of them to my collection. They will look great with different outfits. Wow, I loved the collection and specially the feel seems great. I love carrying different style bags with different outfits. Thanks for sharing a word. Since the launch, I am eyeing upon these designer bags. They are affordable while being trendy. Really look forward to get one for myself soon. I am such a bag freak and to find all different styles in single place is like hitting gold mine !!! This is such a stylish handbag, plus the look of it is just classy, thank you for sharing the same, was exactly looking for something like this, to gift the same to one of my friends.